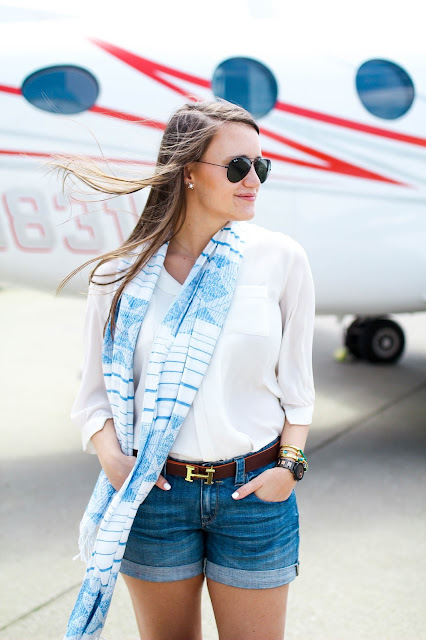 Today is all about summer travel style! The key to traveling is to travel comfortably. And there is nothing more comfortable to me than my denim shorts and a white blouse. I had limited room in my suitcase to pack a lot of outfits so I actually wore this look on both travel days to and from the Kentucky Derby. Gasp! Repeat offender over here! The only difference was I wore these white boat shoes on the way out. It made the look a little more casual and a tad bit more comfortable. The key to comfortable heels are wedges. The key to really comfortable wedges are low heels. And these shoes (that Andrew refers to as my fruity pebble shoes) are so freaking comfortable. 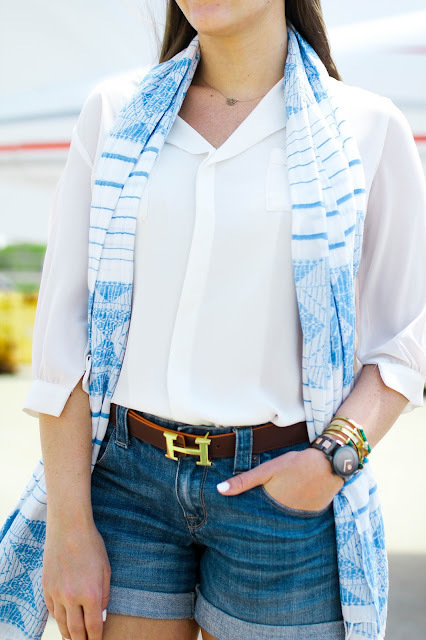 You may recognize today's look from last month—similar style (like the shirt and scarf) but with pants. It’s the “wear-to-work” look. To be honest, during the week I live in this shirt and I’m slowly falling in love with scarfs. Yolooooooo. What is your go-to travel style? This is perfect for summer! If you’re interested in how I dress for winter, you can check out this look here. What a cute look for travel! I'm with you - comfort is key! I love that scarf! What a great deal! Was flying in a private jet super bumpy? I always find when I fly puddle jumpers they're super rough so I wasn't sure if private jets were different. 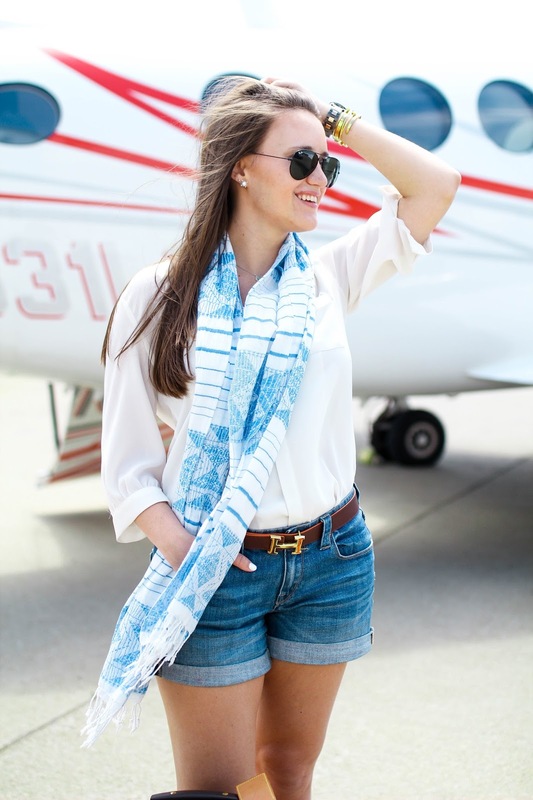 Love these photos, you look like such a chic jet setter Krista! 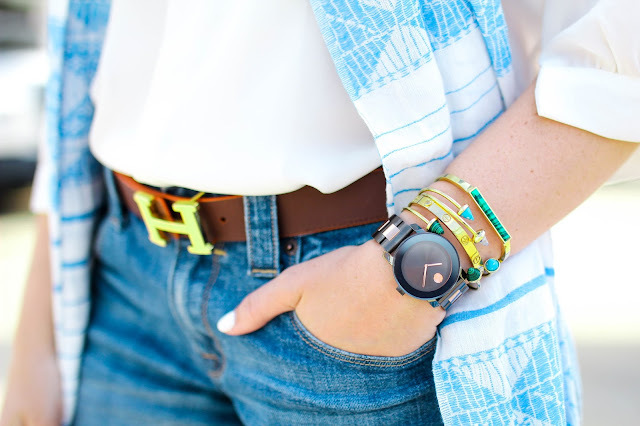 And you can never go wrong with a classic Hermes belt, love it!! 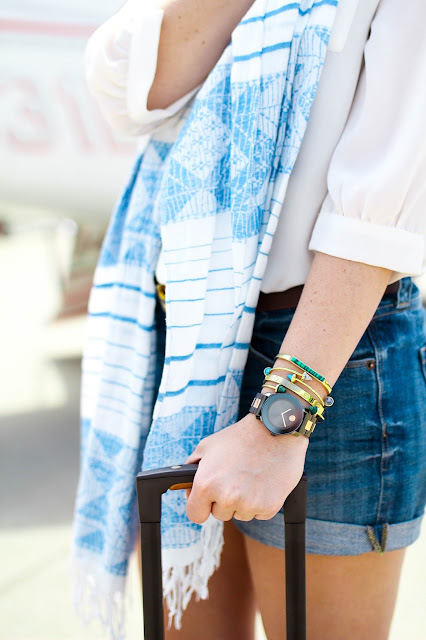 This is such a comfortable yet cute look to travel! Thanks for sharing with us! Very cute and casual outfit. Perfect for traveling!